Nana nana nana nana it's none other than Batman and Robin! 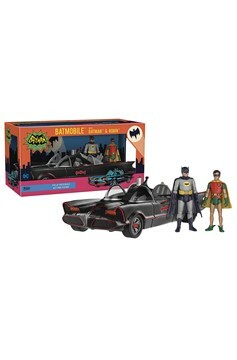 These figures feature nine points of articulation and stand 3 3/4' tall! 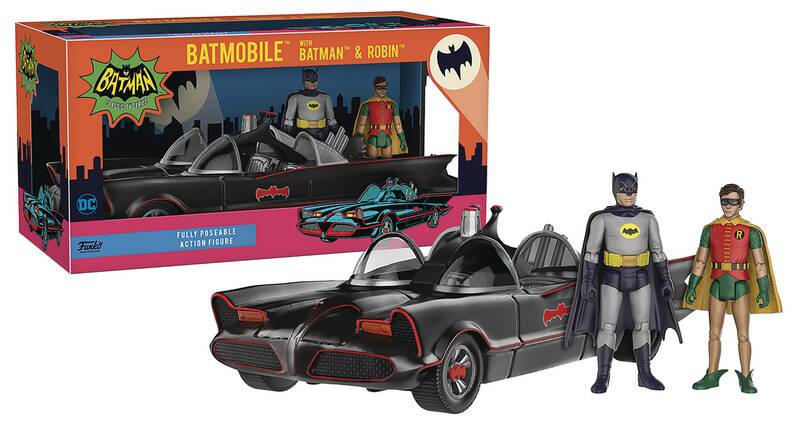 This action figure set is complete with Batman's signature Batmobile, and this 11' long ride is Funko's first vehicle featuring rolling wheels. They are sure to stop the deranged villains of Gotham! Window box packaging..